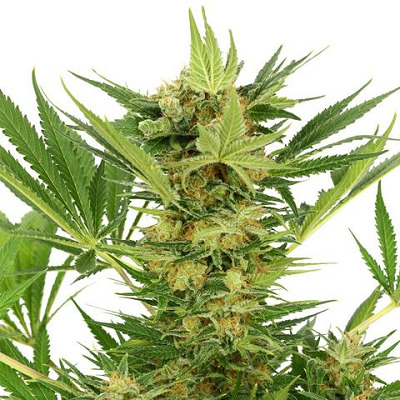 AK 47 Marijuana seeds provide a potent, powerful high, and long-lasting effect. Sativa dominant genetics with a world-class pedigree available in packs of 5, 10 and 20 feminized seed packs. Very high THC levels of 20% together with medium CBD levels provide a strong form of medical Marijuana which is also enjoyed by many recreational users. Find out more about AK 47 Seeds. AK 47 provides a very strong, powerful high that for many light-smokers can be a little too intense. Known as the 'one-shot wonder' it provides a happy, creative feeling that, when used in moderation, can be very uplifting, talkative and sociable, while allowing the gentle Indica undertones to relax the body, relieving stress and tension. Sativa dominant hybrid with a reduced flowering period.Grows well indoors, both in soil and hydroponic set-ups's. I'ts easy to grow nature helps reduce the effect of many errors and mistakes, making it a perfect strain for both beginners and more experienced growers. Limited stretch during flowering, perfect for tent 'grows', Sea-of-Green (SOG), and Screen-of-Screen (SCROG) techniques. AK 47 can help relieve stress and pain, creative a more 'up-beat', positive attitude as well as increasing appetite and inducing sleep. Read the complete AK 47 Medical Marijuana Seeds Review. Buy AK 47 Seeds today and receive free worldwide shipping guaranteed. Yes, guaranteed delivery to all parts of the USA. AK47 well known for its pain relieving properties.